David Quinn is, like a lot of us, amazed to read and listen to reports that essentially pit Pope Francis against the teachings of his own church. Writing in Friday’s Irish Independent, he parses the words of the Pope and equates his papacy more with that of Pope John XXIII, seen by many as a “liberal”, than with that of his two predecessors. But was John XXIII a liberal? He was a Vicar of Christ, faithful in every detail to his Master’s teaching and the Tradition of His Church – that is tradition with a capital “T”, which should not be confused with tradition with a small “t” – just as his successors were and just as Francis most emphatically is. Both of them, John XXIII and Francis, very clearly distinguish between the two. Nor is there any evidence to show that any of the three popes (the short reign of the fourth, John Paul I, we leave aside for the purposes of this consideration) who occupied the Chair of Peter between these two were in thrall to tradition with a small “t” either. Is there any word more corrupted by usage than the word “liberal”? If liberal were really understood to mean what it is supposed to mean we could avoid a great deal of confusion. We would have no difficulty in accepting the actions of those who wish to preserve traditions that are good as equally free – in other words liberal – as the actions of those who are prepared to discard traditions which have passed their sell-by date. Christ was a liberal in the truest sense of the word and anyone who claims to follow him should also be a liberal. He is the very ground of freedom, he is its author. It is on this ground that all five popes who are now the focus of so much speculation stand. David Quinn attributes a great deal of the confusion which is now rampant to the “wishful thinking” of the liberals. But these “liberals” seem to live in a world, a fantasy world, where the word liberal means in many cases the contrary of what it really means. It really signifies a kind of slavery to their own ideological perceptions of the truth. It must be said that conservatives are guilty of a similar distortion of language and end up enslaved to the act of conserving regardless of the value of what they might be conserving. The liberality of valuing a free and open discussion is not the same as a “liberality” of compelling the endorsement of change driven by one particular ideology or way of seeing this world or the next. John XXIII, David Quinn writes, was happy enough to see various aspects of church life and teachings discussed openly and a new approach adopted in certain areas but he was in no way a radical who supported a radical transformation of the church’s essential message. The public are receiving an extremely skewed version of Francis. They hear that he said he does not judge gay people who are “seeking God”, but they do not hear that in the very next breath he said the Catechism explains the church’s teaching on homosexuality very well. Whenever he criticises people in the church who are “rigid” it is widely reported. But when he criticises the opposite tendency, it receives far less coverage. In his speech closing the synod on the family last weekend in Rome, the Pope spoke of both tendencies. Did he mean John Paul II by this? Did he mean Benedict XVI? No, he did not. After all, he recently presided over the canonisation of John Paul. Would he have presided over the canonisation of a man he believes was guilty of “hostile inflexibility”? They don’t believe in the hierarchy. They don’t believe that the church is “One, Holy, Catholic and Apostolic”. They don’t believe Jesus founded an ordained priesthood, even indirectly. They don’t believe that the bread and wine become the Body and Blood of Christ at the Consecration. They don’t believe marriage is indissoluble, despite what Jesus taught. They don’t believe that marriage is by its very nature the sexual and emotional union of a man and a woman. Some don’t even believe in the Incarnation. They don’t believe that Jesus rose literally and physically from the dead. Pope Francis is absolutely not a liberal in this sense. What he is simply trying to do is make the church’s message more convincing, that is, to present the Gospel of Jesus in a new way. He knows that when many people think about the church’s teaching on relationships and sexuality, they think “harsh and judgmental”, even though you would be extremely hard pressed on any given Sunday to hear a priest preach about the family in a way that is even remotely harsh and judgmental. You would also be hard pressed to find many people who even understand the church’s teaching on the family and why it thinks marriage is so important and why weakening that teaching, far from being an act of “mercy”, would in fact do a huge disservice to society. The model for all Christians is Christ. 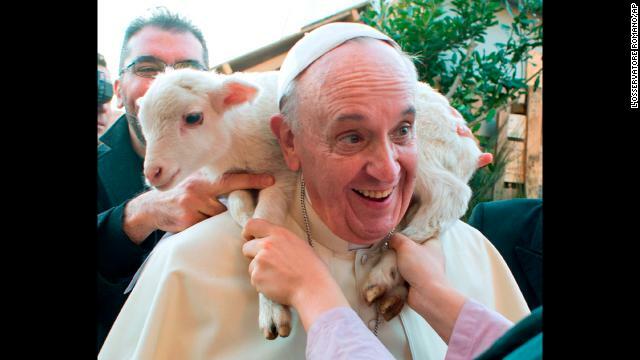 The model for the Vicar of Christ on earth is, par excellence, the Good Shepherd. That model, preached explicitly by Christ, was lived in practice by him and that living example was recorded for us in a number of instances. One was when he scandalized the Pharisees by dining with sinners – and we are not told that they were just considered to be sinners. He even dined with arrogant Pharisees. The scandal of the Pharisees many not be that far removed from the scandal of those shocked by the merciful words of Francis towards us in our struggles to live up to our faith. Another was when he rescued the woman about to be stoned for adultery. In neither case did Christ say a sin was not a sin. In one he explained that he came to heal the sick, not the healthy. In the other, while he said “neither do I condemn you”, he also exhorted the woman to “go an sin no more”. He “welcomed” and loved all these people. Pope Francis, in our time, is giving us all the living example of Christ. He is, as St. Catherine of Sienna said, “the sweet Christ on earth”. 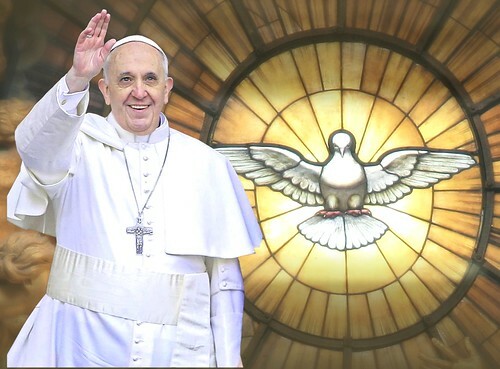 He is saying to us, “Go and do likewise.” He is giving us a great deal to think about – and for a bonus he has galvanised the attention of the world to the Word of God in a positive manner we have not seen since the early days of the pontificate of St. John Paul II. I’ve just read today’s blog. Well done! 1. Can you look at the paragraph I highlighted (Tracking Changes comes up in green in my latest update!) A sentence needs sorting. For one thing, it’s too long! 2. To me it’s only 99% clear – is the entire amount of the parts in italics a quote from David Quinn?